Have you started the amazing holiday tradition that is all the buzz this time of year? If you’re looking for awesome Elf on the Shelf ideas, you’ve come to the right place. 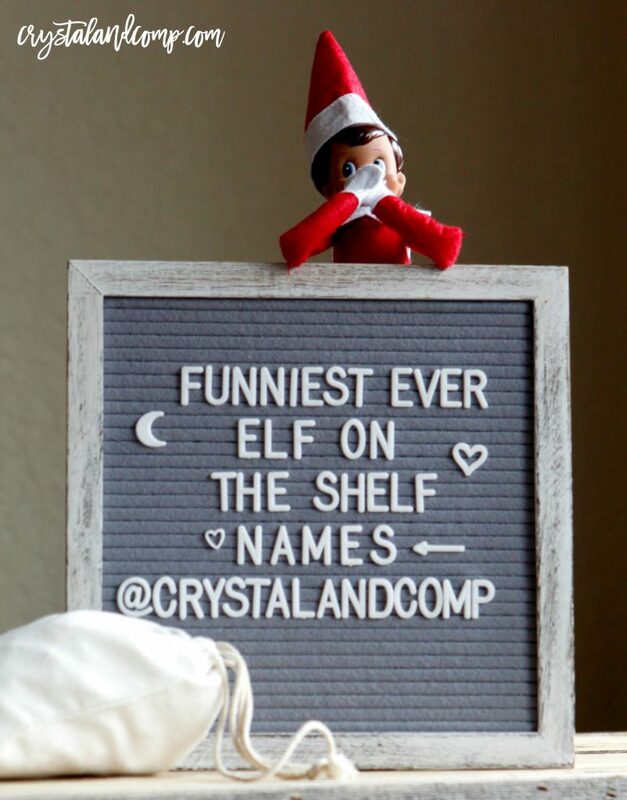 But first, you need a list of funny Elf on the Shelf names to choose from. Have you named your elf? We’ve been doing this every holiday season through Christmas Eve for almost a decade. Do you know how it works? Every year the Elf comes to visit. Each night he flies back to the north pole and reports your kids’ behavior to Santa so that Santa knows if you’re on the good list or the naughty list. We actually have three elves- two boy elves and one girl elf. 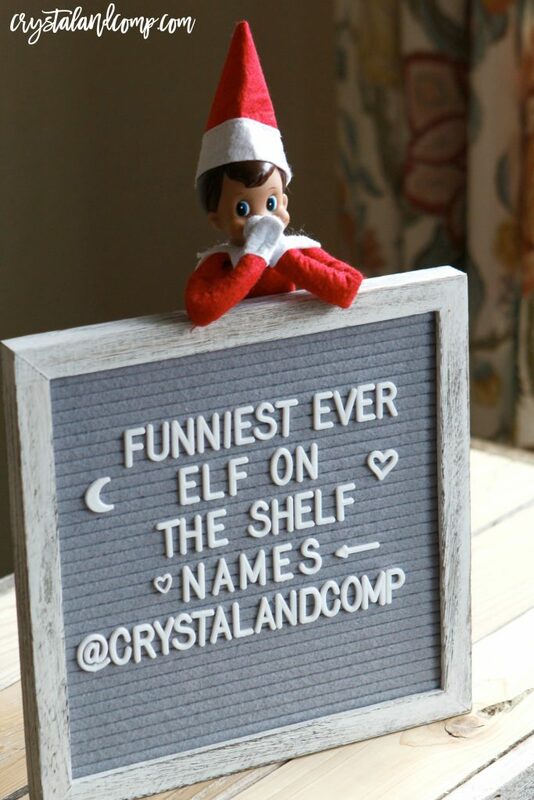 One of the funnest things to do when your elf first arrives, is deciding on a name! That has been a fun activity for us each time. 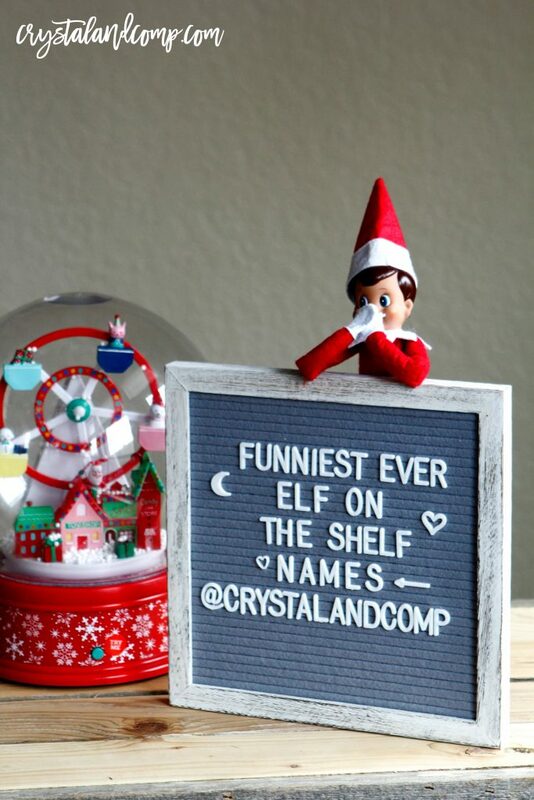 Here are some cute elf on the shelf names we think you will love. But, if you want funny, we have some of those down below. If you are looking for a hilarious name for your Elf, these are pretty epic! Most of them could go for a girl or boy elf. If you make naming your elf a family affair, this can be super fun, but also can create some roadblocks. 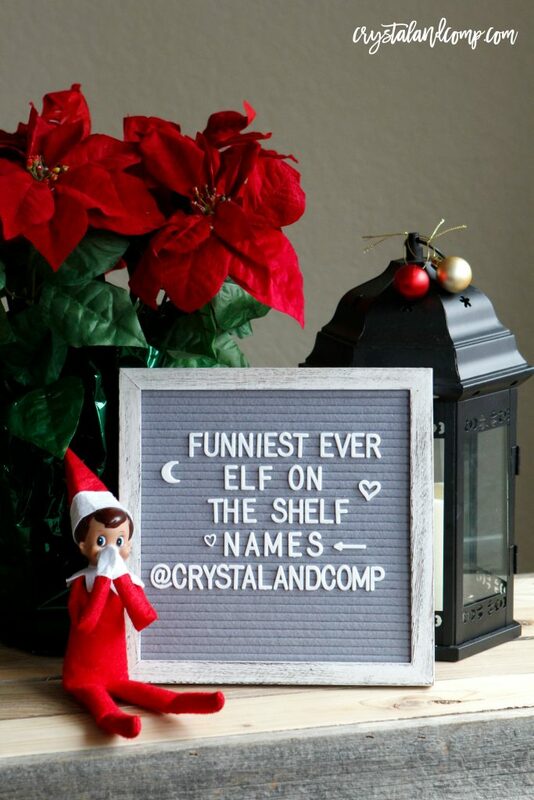 If your kids are fighting over whose name they should use when naming the family elf, take all of the names your family likes and write each one on a small piece of paper. Fold the papers up one at a time and toss them in a bowl. Decide who will draw- you can either let the youngest draw, the oldest draw or see who draws that shortest straw from the broom. Make it fun! Whoever is chosen to draw, picks one piece of paper from the bowl and that is the family elf’s name! If you’ve never done this fun tradition before, or if you’re wondering what all the rules are, this is a good read for how to get started with Elf on the Shelf. When you buy your elf, if get get the kit, it comes with the doll and the book that tells the story of the tradition. 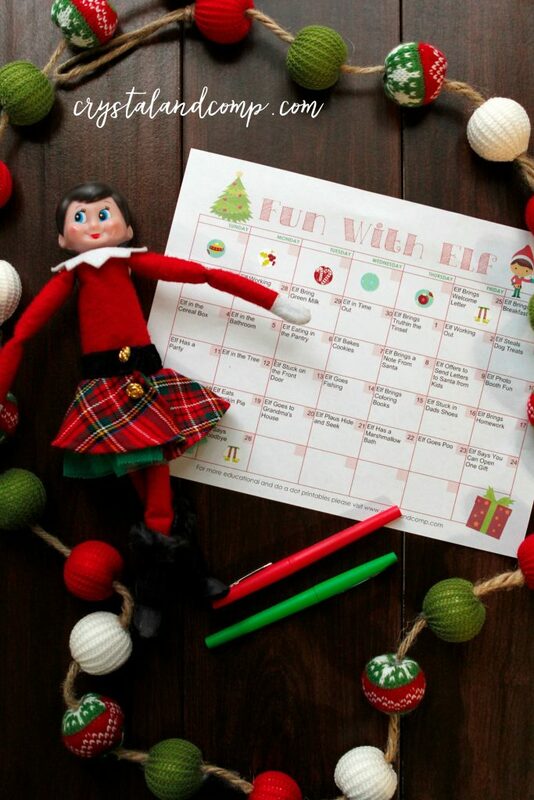 If you’ve never done Elf before, this is totally the year to do it! I let me kids name our first one and his name is Dolphin. One of my now 12 year old twins named him… he was 5 years old at the time. Between these three elves, they get into a lot of mischief and every day the kids enjoy waking up to see what new shenanigans the elves are up to. Remember, you could use the letter board for for your kids to leave notes to your elf or for elf to leave notes for your kids. Talk about lots of fun!! Wondering how I manipulated our elf’s hands to make this stick to his mouth? I just used some of the sticky stuff off the back of a Command hook. Brilliant, right? When your elf arrives for the first time, you will read the book and name your elf. 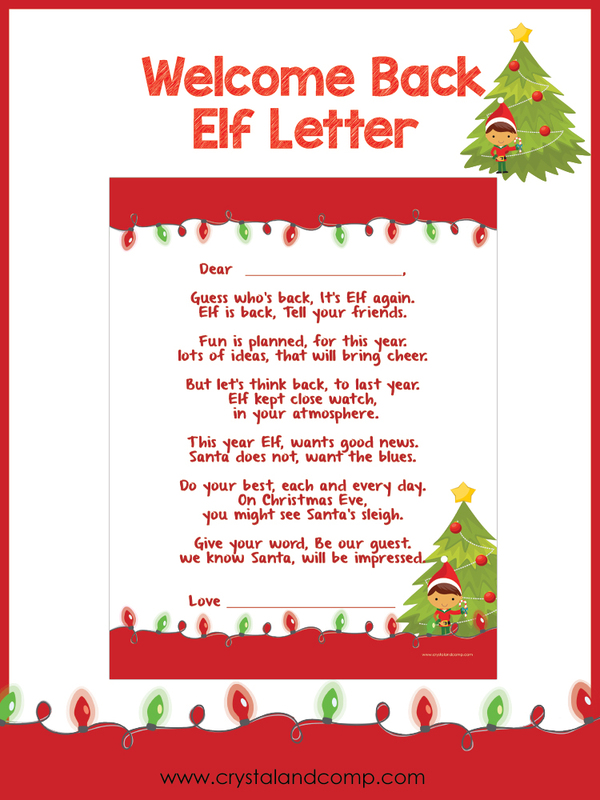 Then, I like for elf to leave a welcome letter. Now, if you’ve been doing this tradition for a couple of years, we have this welcome back letter that is super fun too! This calendar makes planning so much easier. Just go in and plug in exactly what you want to do each day. Print it our and save it in a special place where the kids don’t find it but you know exactly what to expect each day. Want make make coming up with new elf ideas easy peasy? 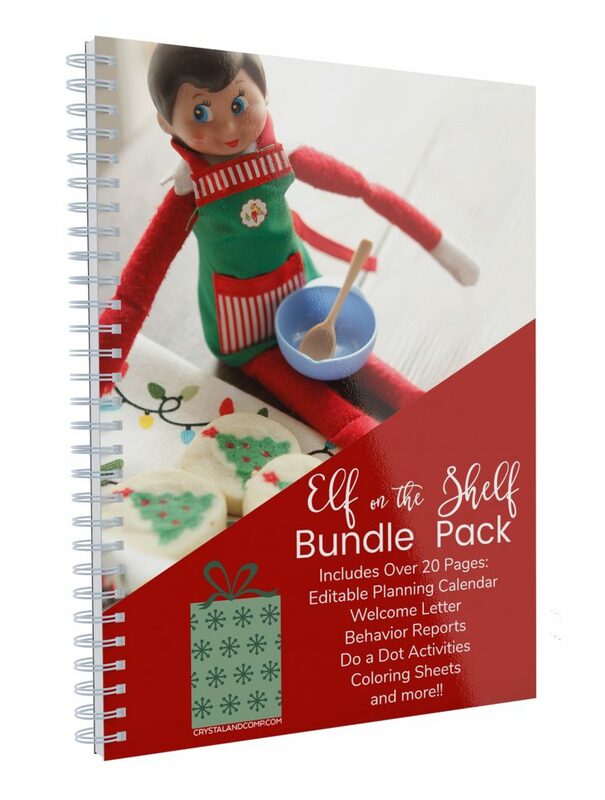 Check out our pack with over 20 Elf on the Shelf pages and includes the welcome letter, do a dot pages, planning calendar, coloring pages, behavior reports and more! Print them out and boom, you’re ready to go! 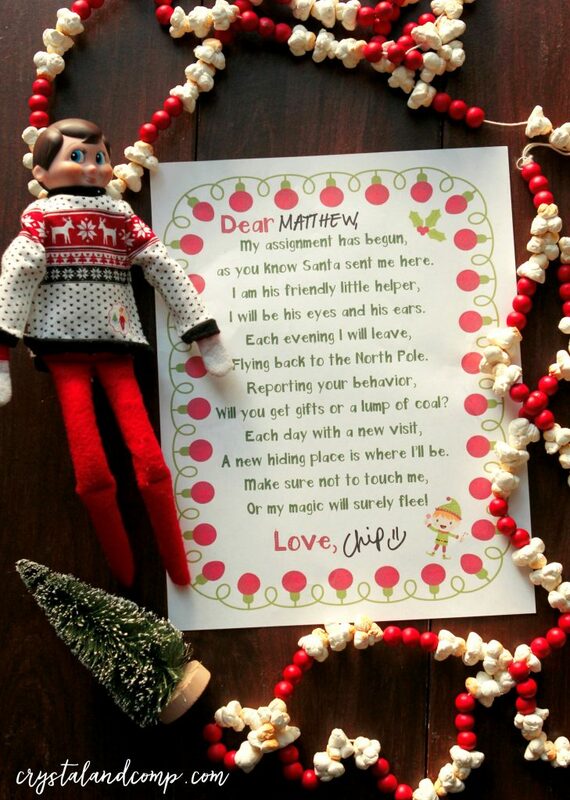 Now I am dying to know… what is your Elf on the Shelf’s name? Is it a funny name, a cute name, a crazy name? I want to know!! Leave it in the comments.